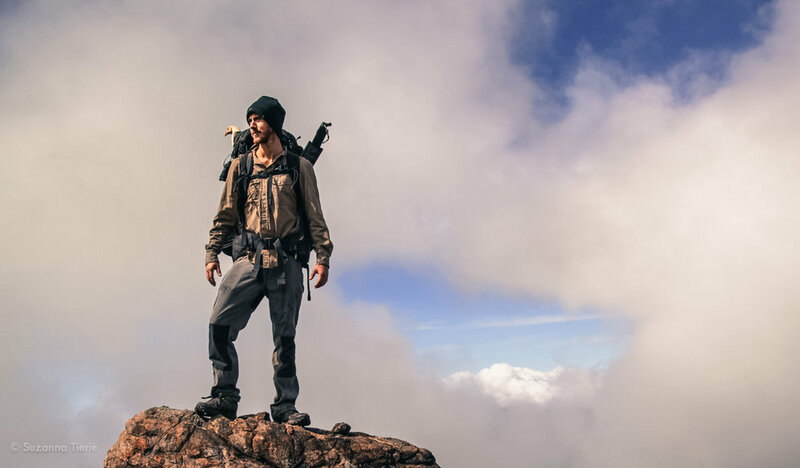 Ash Dykes is a two-time world first record holding explorer, author and motivational speaker and he's chosen to share his top tips for planning your first adventure with the EC community. "I always knew I wanted to travel; but nevertheless, preparing myself for my first big trip was daunting. I was going to South East Asia and although it's very well travelled, my friend and I were planning on getting off the beaten track. Very few people I knew had done something similar, so we were going in blind. I was also leaving without a return date in mind, so had to pack super light for an indefinite amount of time, and I didn’t have a route planned. I made it through though and had the time of my life, and that first adventure is what inspired me to take on so many crazy challenges since! So here are my top tips for preparing yourself for that first big adventure." Travelling opens all kinds of doors, and if you’re lucky you’ll be able to pick up work in your chosen destination (I did my scuba license and taught diving in Thailand for a while). However it’s always good to have back up, and to have the financial freedom to move on and travel somewhere else if you want to. So give yourself plenty of time to save up enough money to last as long as you envisage being abroad for – and then some! You always need a contingency because you never know what might happen or the opportunities you might be given; and if you’ve travelled all that way you won’t want to turn them down! Working can be hard, but never let your goal slip from your mind. It will get you through those graveyard shifts like nothing else could! Basically, before you go you want a vague idea of where it is you’re going, the customs and potential dangers, and where you’d like to end up (in terms of your route and end dates, although this may change as you travel). Most things though, you can learn from locals and other travellers on your way round – and this is the greatest way to learn. I spent time learning survival skills in the jungle with a Burmese hill tribe in Thailand, and my eventual route was largely dictated by the people I met, their recommendations and my curiosity. If you don’t over-plan, you’ll find yourself in some of the remotest, most beautiful and most unspoilt parts of the world at the most unexpected times, totally off the beaten track and feeling totally alive. Travelling to the other side of the world can be a culture shock, and it can be particularly difficult if you’re going it alone. So do your best to prepare yourself mentally before you go by accepting the fact that you might have to face some lows; the key is to decide that if you do, you’ll ride them out and then pick yourself up and have some fun the day after! Travelling for a prolonged period without many home comforts is always going to be a test of character: you just have to embrace every emotion and ride the wave! Whether it’s chatting to people in your hostel, chatting to locals in the street, or eating something you’ve never heard of – put yourself out there on your travels and you’ll reap the rewards. One of my favourite things about the adventures I take on is all the people I meet and the things they teach me – not just about their culture, but about life and survival too. Therefore, as soon as you step on that plane, be ready to push yourself out of your comfort zone and embrace the craziness your trip will throw at you. Stay up-to-date with Ash's latest adventures on Instagram, Twitter and Facebook.